A true love of the outdoors — hiking, camping, backpacking, and more — is a rewarding passion. It offers healthy entertainment, exercise, time for quiet contemplation or stimulating conversation. For those who go out there with specific goals in mind, there’s also a profound sense of accomplishment in a job well done. Interestingly, many people experience nearly all those same rewards in connection with starting and successfully running a business. Entrepreneurs — like outdoor enthusiasts — are part of a relatively small and passionate club. They’re strategic risk-takers who thrive on pushing ahead into the unknown, relying on their experience, their knowledge, and their tools to survive. If you’ve ever considered striking out on your own as an entrepreneur, there are some unique opportunities available to combine a love of the outdoors with this common American dream. 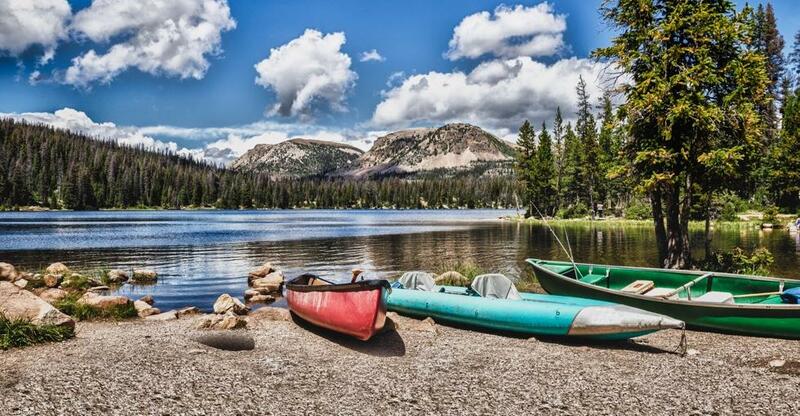 Owning a campground is an opportunity that can provide a stable and sustainable income, an opportunity to associate with others who enjoy outdoor sports, and plenty of time to indulge in your own active lifestyle. To enjoy the benefits of owning and operating a campground while avoiding a majority of the inherent challenges, the best option is to purchase an actively successful campground for sale. If the current owners are selling because they wish to retire or because of some other change in their life, but the business itself is running smoothly, you may be able to arrange a transition period during which they can teach you all you need to know to take over running the facility. That’s not to say that purchasing an existing — even smoothly running — campground or RV park is going to be a simple process without any bumps in the road. But it does tend to be the opportunity with the lowest number of barriers to success. Another option that appeals to true entrepreneurial adventurers is starting a campground or RV park from scratch and turning it into your dream outdoor destination. While this is both exciting and (potentially) very profitable, it’s also a long road with a lot of challenges and margin for error, especially for the uninitiated. For example, finding and purchasing ideal land can be difficult and each local, regional, and state authority with jurisdiction over the land may have its own regulatory and zoning hoops to jump through in order to get the property set up for use as a commercial campground. There’s also the expense and time involved in setting up all necessary infrastructure, because even if you plan to offer the most rustic of camping and hiking amenities, you will still need to have a minimum of electrical, plumbing, and sewage utilities installed to meet commercial regulations. That all being said, building a campground from scratch can be absolutely thrilling and very satisfying for a die-hard lover of the outdoors who also harbors a strong entrepreneurial drive and a desire to help others develop their own outdoor lifestyles. The best thing you can do in either case — whether you choose to start from scratch or purchase an existing campground is to spend plenty of time speaking with people who have made a success of running their own campgrounds and RV parks to get a feel for the ups and downs inherent to this industry. And, more than anything else, be sure to leave yourself plenty of time and energy to continue to indulge your own outdoor interests so you’ll always remember why you decided to take the entrepreneurial plunge! For more tips on buying a business, check out our free article library below.